Angie Bailey Use coupon code F7T23V at www.nchsoftware.com/coupons. Offer valid through September 5, 2017 only. 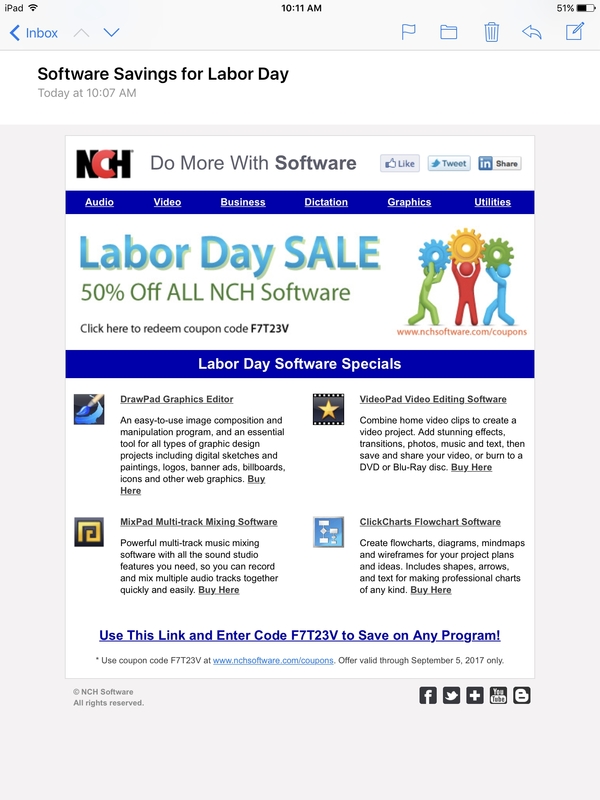 Angie Bailey Apply the promo code to receive a 50% discount on all NCH software.